Over 5 million Americans are believed to have some form of Alzheimer’s disease, according to the Alzheimer’s Foundation. The disease gets progressively worse over time, and that often means a loved one is providing care. The responsibility of a caregiver is massive, but one that millions of people take on every day. The goal is to help the person with the disease live the best life possible. When treating someone with Alzheimer’s, the first thing you need to do is educate yourself about the disease. No cure exists for the Alzheimer’s, but there are ways to slow the progression. Also, a lot of research has been conducted on the best ways to interact and provide care for people with the disease. A good place to start is the Alzheimer’s Foundation website. The site has a whole page dedicated to caregiving. When providing care to an individual with Alzheimer’s disease, you need to strike a balance. You don’t want to limit the person’s freedom and choices, but you also must make sure the person is safe and not going to harm himself or others. This is a delicate balance to achieve, especially for a loved one. You have a personal connection to the individual. One’s inclination is often toward safety, but you don’t want to be stifling and overbearing. Over time, the scales will tip. A person with early stage Alzheimer’s can mostly live an independent life. You might have to just do a little cleaning or offer a few reminders to the person. Your main goal is to reduce the stress and anxiety on the individual. You want their life to be comfortable and easy. As the disease worsens, safety becomes the priority. You might have to restrict cooking and driving. It is not easy, but that is your role as a caregiver. Being a caregiver is a hard job, and you have to understand your own emotional needs. You might become frustrated or angry with the person, something that can be especially hard with a loved one, but you will not help the situation by lashing out. You have to remain calm and in control when providing care for a person with Alzheimer’s. You need to take time for self care in your free time. Once you are no longer providing care that day, you might need to de-stress and relax. Meditation, a glass of tea, a walk in the woods or chatting with someone are all ways that you can unwind from the day. Ultimately, you need to build a support system around yourself. You need to listen to yourself and know when you need some self care. You had a life before becoming a caregiver. You can’t completely put your life on hold just because you have become a caregiver. You still need to live your life. 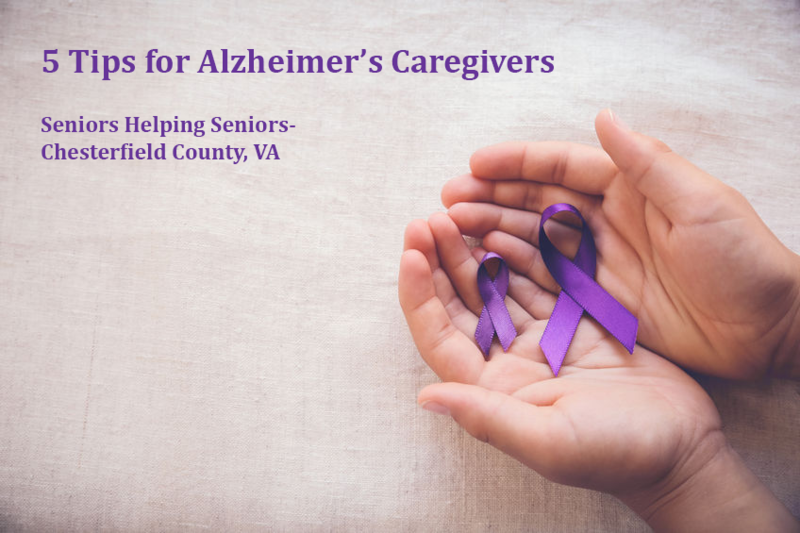 While your life will often center around the loved-one with Alzheimer’s, you need to understand that being a caregiver is only part of your life. You need to set boundaries and understand that life still exists outside your caregiving role. Your job, family and life cannot be put on hold just because you have become a caregiver. If you are taking care of a loved one with Alzheimer’s, it is best to have professional support. While other family members can often help with the caregiving, it is often a good idea to involve a professional. A professional caregiver can relieve some of the caregiving responsibility but can also offers tips and suggestions. The person is knowledgeable about the disease and has experience working in the field. He or she can be a resource when issues and problems arise. It is one more way that you can receive support when serving as a caregiver.